The MOOOVERS is your professional neighborhood moving company! 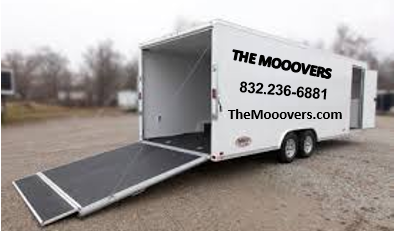 Call The Mooovers when it's time to move your home, family and/or office. We go the extra mile to provide the personal hometown touch to make your move as stress-free as possible. We pride ourselves in ensuring our customers are comfortable entrusting the transport of your belongings to us. Whether we are moving your one-of-a-kind antique family heirloom or your office files, our Houston based moving reputation speaks for itself. We are here for you! Please select your moving options, if your option is not noted, no problem. Please type in your moving request. Enter the address the MOOOVERS are to begin you move. Enter the ending address for your move. Enter where your items be delivered. We understand how difficult moving from your old home to a new one. We understand that your belongings often have more value attached to them than the cost. 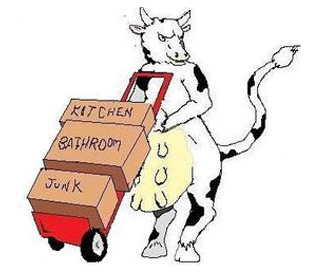 When you use The Moovers to carry your belongings you will find that we understand. Our experienced team has the skills to pack and crate your belongs carefully and quickly. We will keep in touch with you until we deliver those items that will make your new house into your home. Check out other moving companies. When you need affordability and professional skills in a Houston or Dallas moving company, we're the ones to call. Houston office movers are not all the same. We invite you to talk with other Houston moving services . We are the professional office movers who understand how to keep your business in motion before, during and after your move. From the moment you call, to when the equipment is set up at the new site, you will find our rates affordable and our service personal. Excellence with a smile, that is what The Mooovers provided to my family during the move!